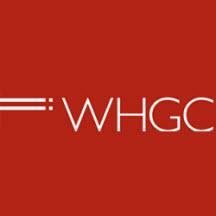 WHGC is headquartered in Newport Beach, California. We offer additional offices in Beijing. Our goal is to provide practical and cost-effective solutions tailored to the legal needs of both businesses and individuals in California, throughout the United States, and worldwide. Contact us to consult with an experienced attorney at our business law office. Our law firm encompasses a diverse set of practices, enabling our team of lawyers to draw from a wide range of legal and technical knowledge and craft creative, innovative solutions. Our diverse experience encompasses over 13 years industrial and technical experience, 10 years intellectual property experience, supervisory engineering experience, and other practical experience. As a result, we have gained real world knowledge of these specific industries and are better able to service our clients in a more effective manner. We understand that there is no substitute for direct communication with your lawyer. We are committed to providing clients with thorough, up to date information regarding their legal matter. However, when clients call our office, we take care to ensure their needs are met. To better assist our international clients, we have attorneys and legal support staff who are fluent in English, Mandarin, and Cantonese.